You will need a guide to assist you in selecting the best fuel injector cleaner in the market. There are a number of benefits of selecting the best product and we will look at that below. Fuel injectors can malfunction in different situations. It could be the electrical part of the injector but in most cases the main problem is caused by carbon deposits from bad fuel or from extended use of the engine. The only way to solve this problem is through an effective fuel injector cleaner. Most people will take their vehicle to the auto repair shop to have the fuel injection system and other parts cleaned but this can be costly. The other option is to get the fuel injection cleaning equipment and do it yourself at home. The good thing about fuel injector cleaning kits and solutions is that they are not complex to use though you will need some mechanical know how to connect the unit safely and properly. Just like any other product, there are different brands in the market all selling the same products under different names and a few different features. The following are of the best fuel injector cleaners in the market and their benefits to your engine. You can use this information to purchase the best product for your auto service shop or for home use. 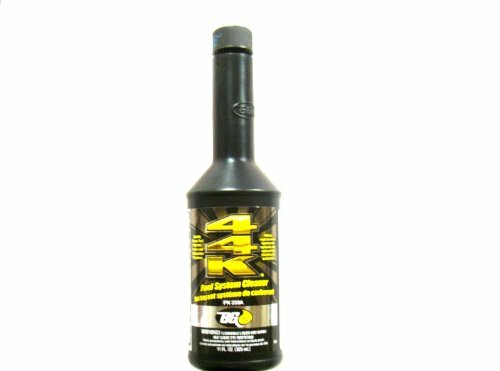 The BG 44K is a fuel system cleaner that contains 11 ounces of high quality detergents and additives that the car owner will pour into the gas tank to restore performance and gas mileage of the vehicle. The gas cleaner vanquishes deposits in the combustion chambers, intake manifolds, ports and on valves restoring proper flow in the fuel injectors in a nutshell it cleans up the entire fuel system. With gasoline quality being inconsistent the car owner might find it difficult to identify the best gasoline quality, if the gas is of poor quality it causes deposit build up around the fuel system causing inefficient ignition and combustion hence poor power output. Small high output engines are greatly affected by the carbon deposits as they are sensitive to the build up around the fuel injectors, intake ports or the intake valves and combustion chambers. Even small amounts of deposits can affect the car by increasing emissions, reduced fuel economy, drivability problems and eventually engine knock. This fuel cleaner is designed to increase power and mileage per gallon by burning excess exhaust emissions. It efficiently cleans and lubricates the fuel system. The fuel cleaner also neutralizes low sulfur fuel problems that might pose a problem to the environment. The Lucas fuel treatment also increases the life of the fuel injectors and all the components including the pumps. It comes in 1 gallon containers on a weight of 128 Oz. The fuel cleaner burns exhaust emissions increasing the life of the injectors. A single bottle can rapidly clean and lubricate the fuel system neutralizing the low sulfur fuel problems. 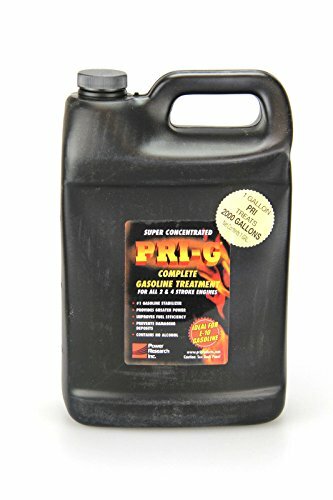 The Lucas fuel treatment is designed for both gasoline and diesel engines, on use it can be carbureted or fuel injected into the fuel injector. It gives the fuel system a blend of super slick oil additives that give a high detergent action that allows the engine to operate at maximum efficiency. 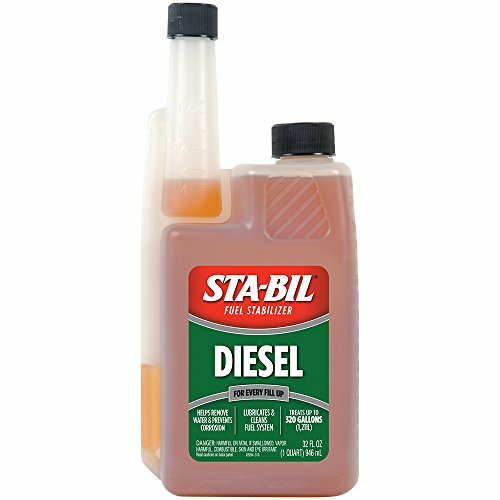 It cleans the carburetor and injectors causing the fuel to burn more thoroughly for increased power and less fuel consumption. It is advisable for use on vehicles that require leaded fuel since it replaces the benefits of lead without causing harmful emissions. This is a fuel injection cleaner that cleans contaminated petrol injection system by removing carbon deposits and deposits from fuel pipes, fuel distributors, injection and inlet valves, it therefore rules out any starting problems and no lean surging and this causes smoother idling, good throttle response, low pollution and an environmental compatible combustion. The fuel injector cleaner also promotes accurate dosing and fuel atomization. This will in turn improve the original engine performance; the fuel consumption will also be reduced. This fuel cleaner is suitable for engines with catalytic converters. The product is easy to use the vehicle owner simply pours the product in the gas tank for mixing with the fuel. The car owner will also realize the product is affordable unlike having a mechanic clean up the fuel system regularly, any person who wants to increase their vehicles mpg is advised to use this product. It boosts the car efficiency by improving the fuel system in turn boosting the engine’s operations. Berryman 0116 B-12 is a fuel treatment and injector cleaner that quickly disperse moisture and dissolves gum, varnish, and other fuel residues. Its use is applicable on the entire fuel system, fuel tanks, fuel lines, fuel injectors, valves, rings and pistons with use of H.E.S.T. The fuel cleaner ensures a higher compression, fewer repairs, lower operating costs and increased spark plug and injector life. It is also advantageous as it is a catalytic converter and is oxygen sensor safe. 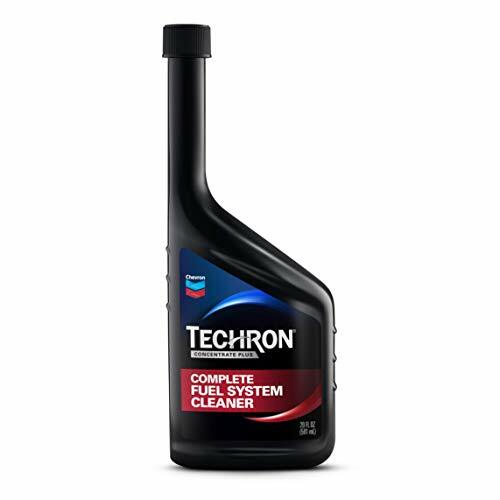 This product ensures the engine operate at peak efficiency as it dissolves all the deposits around the fuel system. Once introduced to the fuel tank it should be let to settle in for it to be able to dissolve the deposits once the car starts and the engine starts running. It is advised that the car owner should let it settle for about 45 minutes before the car is started. It is beneficial and cost cutting. Chevron 65740 system cleaner is reformulated with improved deposit control, it cleans and protects against corrosive sulfur deposits that can harm fuel gauge sensors. The product is unbeatable in cleaning the entire fuel system as it restores lost power and performance. A single 20 ounce bottle of the product can efficiently clean and treat up to 20 gallon tank and uses every 3,000 as part regular maintenance program. 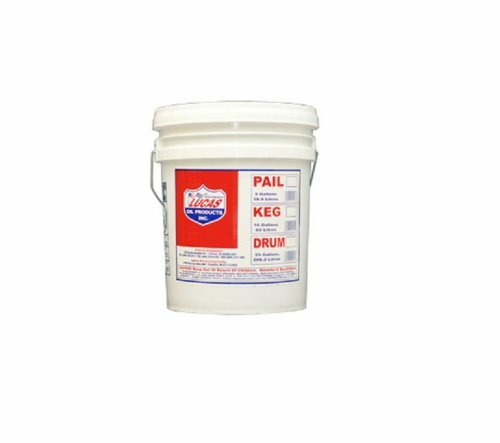 Its patented polyether amine technology is unsurpassed at cleaning deposits from intake valves, fuel injectors, and combustion chambers. The product is also safe for use with all ethanol fuels including the flex fuel like E85. On using the product it is advisable to use top of the shelf oil filter to prevent against any form of wear and tear, although most manufacturers have 3 or 4 different quality filters for the same car so it is advisable for the car owner to consider top of the shelf oil filters for maximum output. If a car user uses their filters at the oil exchange stations the quick change shops will offer a discount on the oil change. 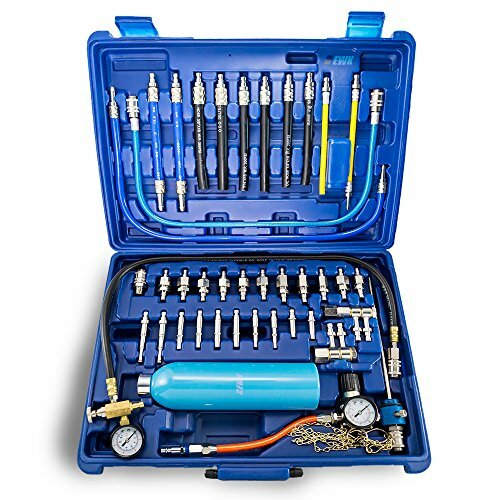 The air pneumatic vacuum system fuel injector injection cleaner and tester kit is a fuel cleaner that cleans up all the carbon deposits from the intake system and the combustion chamber. The kit is convenient as it can treat and restore lost power in the fuel system it in turn returns the fuel system to its initial state letting the car owner rediscover the full potential of the car’s engine system as they drive. Its application is universal to many of the cars that are on the road right now. This kit comes at an affordable price, is of good quality, easy to use and it also comes with advantages. 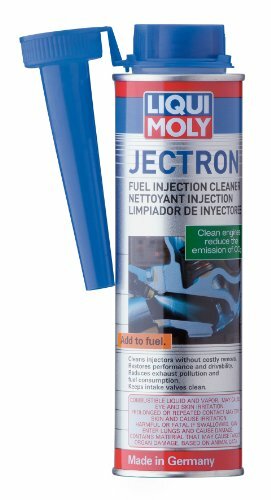 It cleans the fuel system as it cleans the fuel injector, intake valves, combustion chamber, vacuum system, parts and valves. The kit is also efficient as it tests on the engine system pressure and also the sealing condition of return line diaphragm. This kit also comes with a thread that is 18 NPT / PSI and kg / cm2. 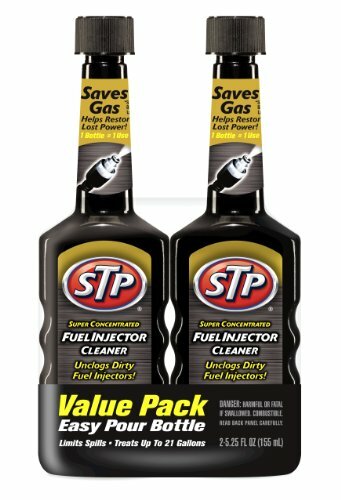 It efficiently cleans the fuel system restoring the car to increased mpg and increased acceleration due to improved engine performance. 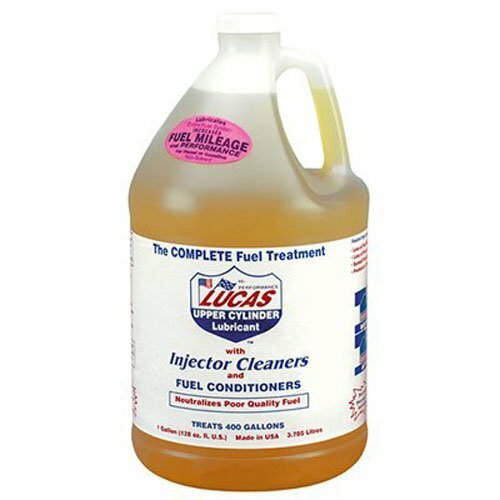 The Lucas 1003 upper cylinder lubrication and injector cleaner is a great tune up bottle fuel cleaner that cleans and lubricates the fuel system. The product neutralizes low sulfur fuel problems and it also increases power and miles per gallon by burning excess exhaust emission. The fuel cleaner also increases the life of the pumps and injectors by removing the carbon deposits that build up around the fuel system. The buildup might cause clogging around the fuel system and employing the fuel injector cleaner will lead to efficient operations as it will dissolve the carbon deposits around the fuel system. The engine responds relatively fast to the fuel injection cleaner as much as it should be left to settle in for quicker dissolving. It is also easy to use unlike other products and any user can conveniently use it without having to get worked out on its use. On use, the car will have increased mileage and a better smoother acceleration as the engine will have improved performance. The fuel injector cleaner comes in packs of 2 and it contains concentrated detergents that help dissolve and remove harmful carbon, gum and varnish deposits on the fuel injectors. The product also restores lost power and acceleration by improving the engine’s performance for a smooth idle, and eliminates tough starts. The products also saves on gas by cleaning the fuel injectors and restoring lost fuel efficiency, the deposits act as a sponge causing for less fuel to pass through to the combustion chamber for combustion this will in turn cause inefficient power. This product is convenient for use with all-terrain vehicles, utility vehicles, and street sport motorcycles, off road motorcycles, street cruiser motorcycles, street touring motorcycles, street motor scooters snowmobiles and marine personal craft. The buyers should also follow the instructions that come with purchase of the product to ensure the mixing ratios are proper for efficient results. The product is efficient and its use will see the buyer recognize efficient results. The OTC tools fuel cleaner is designed for direct fuel rail and injection cleaning. It is mixed with fuel present in the fuel tank it in turn dissolves the carbon deposits by loosening them and eventually the debris are burnt in the combustion chamber and removed through the cars exhaustion system. 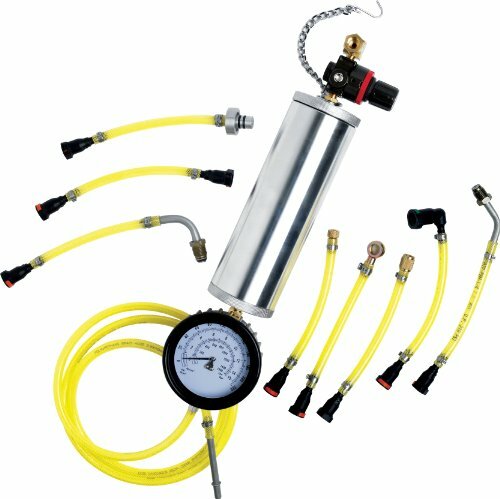 The kit is made from stainless steel and it has a hydraulic cylinder that has a 22 ounce capacity and is able to handle pressure of up to 30,000. The recommended process runs the engine with a strong cleaning solvent like OTCs 7000A pro inject R-Kleen that is sold separately which is introduced directly into the fuel rail where maximum benefits are achieved. The full size cap allows for adding solvents easily as it is spill proof. It also comes with a 3-1/2 gauge that makes setting the outlet pressure simple and accurate. Only a quarter turn is needed to open or close the system, other kits might come with a removable hose improving storage options and in case of damage it is easy to replace. To improve performance the vehicle owner can add a blowout attachment that removes any residual solvent from the hose with the shop air supply or an air compressor. The product comes with easy to use instructions that the buyer can easily follow and if they seem hard to follow the user can make a call to the service line for assistance. The Lucas oil 10080 upper cylinder lube / fuel treatment is a fuel injector cleaner with a great tune up bottle that cleans and lubricates the fuel system. The product neutralizes low sulfur fuel problems hence increasing the cars power and miles per gallon by burning excess exhaust emissions. Use of the product also increases the life of the pumps and injectors. It complies with the federal low sulfur content requirements for use in diesel motor vehicles and non-road, locomotive and marine diesel equipment engines. This is a strong powerful blend of oils and additives that contain no solvents. It is also designed to increase power and fuel mileage in turn reducing emissions through a more complete combustion. The Lucas fuel treatment is formulated for both gasoline and diesel engines; it can either be carbureted or injected into the fuel tanks. These additives have a high detergent action that allows the engine to perform at maximum efficiency. The product also cleans the carburetors and injectors causing the fuel to burn more thoroughly for increased power and less fuel consumption. Car owners that use leaded fuel will find the Lucas fuel treatment convenient as it is compatible with leaded fuel and replaces the benefits of lead in gasoline without causing any harmful emissions. In case of smog tests the fuel treatment is convenient as it ensures low smoke production and neutralizes the harmful effects of low sulfur diesel fuel. This fuel system cleaner cleans nearly 100 percent efficiently in one treatment as it also reduces need for octane by up to two points. It contains synthetic upper cylinder lubricant that is safe for continual use. After purchase the car owner should use a single bottle per tank for most effective treatment of neglected vehicle. The product works well with all-terrain vehicles, utility vehicles, and street sport motorcycles, off road motorcycles, street cruiser motorcycles, street touring motorcycles, street motor scooters, snowmobiles, and marine personal craft to provide efficient engine operations. The product is concentrated with detergent based additives that clean the fuel injectors, carburetors, valves and the combustion chamber from carbon deposits with its concentrated blend of mixture. The detergents exist in high and known temperature friendly conditions and it can therefore be bought for use by anyone despite the living conditions. It restores the car back to its initial acceleration speed with increased mpg on long distance drives and a smooth rough idle for the vehicle. On use, it should be introduced into the tank with fuel and let to settle to enable it to mix with the fuel and dissolve all the carbon deposits that might have built up. The carbon deposits build up when the fuel entering the combustion chamber is insufficient as the clogged deposits act as sponge that prevents the fuel from completely getting to the fuel chamber to be burnt to produce the engine power. Most users have registered in great results after using the product. The fuel injection system is a system used in the admission of fuel into the combustion chamber. This has become the basic fuel injection system replacing the carburetors. Carburetor engines were discontinued in the 1990 and now most vehicles on the road use fuel injectors. The difference between the two is that while carburetors use suction in the intake air to draw a fuel stream in the chamber, fuel injectors atomize fuel through small nozzles under high pressure. Modern fuel injectors are designed for specific fuel types and while some fuel injection systems can adapt to different fuels using sensors, most injector systems are for gasoline and diesel. There are different functional objectives for fuel injectors. All of the systems will share one task of supplying the fuel to the combustion chamber but the optimization of a system depends on the design. Some of the competing objectives include the power output, fuel efficiency, reliability, driveability, ability to adapt to alternative fuels, emission performance, initial cost, maintenance cost, engine tuning, range of environmental operations, and diagnostic capability. Modern fuel injectors are in a better position to optimize these objectives than earlier fuel delivery systems such as the carburetor and older versions of the fuel injector systems. Prior to looking at why you need to clean your fuel injector and the benefits of having a clean injector, it is important that we understated how the fuel injector works. As mentioned above the fuel injector used in most vehicles today replaced the carburetor to improve on efficiency and fuel consumption. Fuel injectors in modern vehicles are part of a computerized system which enables them to spray fuel efficiently at calculated intervals. There are number of different fuel injectors and the basic type is referred to as a throttle body injector. This system works just like a carburetor only that it is computerized. It uses one injector that delivers fuel across the combustion chambers of the engine. This injection system resembles a carburetor as it is located on top of the engine and is designed in such a way that it delivers fuel to all cylinders of the engine. The electronic fuel injection system better known as EFI is a more advanced fuel injection type. In this system, each cylinder has its own fuel injector and the system uses a multi-port fuel injection method to deliver the fuel. Basic multi-port setups will spray fuel into the cylinder regardless of whether the cylinder is firing or not. For this reason, there is an advanced electronic fuel injection system using sequential multi-port system which ensures that the fuel is only sprayed before the cylinder fires. This results in better performance and when the driver accelerates the system immediately increases fuel delivery without waiting for a full revolution. The electronic fuel injection systems are complicated systems that include more than just the injectors. The system is controlled by a central computer which is responsible for determining when the injectors need to spray and the amount of fuel to be sprayed. To be effective and efficient, there are sensors which send information to the computer for adjustments. For instance, there is a throttle position sensor which notes the position of the gas pedal and sends the information to the computer for a change in fuel amount delivery. The oxygen sensor is another sensor that monitors the levels of unburnt fuel in the exhaust system. When the sensor notes that there is too much unburned fuel in the exhaust gases as a result of rich fuel in the engine, its sends this information to the computer which in turn prompts the injectors to deliver less fuel to the combustion chambers. Though electronic fuel injectors are complex in their setup and operation, and need computerization, the delivery of fuel by these systems is more precise and well controlled. These injectors make it possible to protect the environment by avoiding unnecessary fuel combustion and reduce the level of poisonous emissions. Your car will get better acceleration and power controlled by the computerized system. Fuel injectors have quite a number of benefits over the earlier fuel delivery methods such as carburetors. Some of the benefits include a more consistent throttle response which is experienced during fast throttle transitions. With a fuel injection system, you will experience easy cold starting, precise adjustments that handle the changes in air pressure and temperature and a more stable idling. With a fuel injector, the maintenance needs will decrease and your engine will have better fuel consumption and efficiency. A fuel injection system will dispense with need for separate mechanical chokes, which must be adjusted as the engine warms up in carbureted vehicles. Fuel injectors also have the benefit of having the ability to provide the stratified combustion which was not achieved in carbureted engines. Fuel injector systems have brought about the possibility of changes in the cylinder settings because the electronic gadgets inject fuel into the cylinders individually. This is something that was not possible with carbureted engines since the carburetors could not deliver fuel between cylinders unless there was a complex individual carburetor for each cylinder. Fuel injectors can operate normally regardless of the orientation and this means that the engine will work upside down or in zero gravity such as the case with airplanes. This provides a wide play for engine applications unlike the limitations by carburetors. Fuel injectors have been found to greatly improve the efficiency of the engine. Multi-point fuel injection systems provide an improved cylinder-to-cylinder distribution and this leads to less fuel consumption but with the same power output. Variations in cylinder-to-cylinder distribution can lead to excess fuel in some cylinders resulting from the need to ensure that all cylinders receive sufficient fuel. The fuel injection system balances this distribution and ensures that each cylinder receives the needed amount of fuel. Fuel injection systems have contributed a great deal in reducing the exhaust emissions from engines. When the combustion process is receiving the fuel amounts it needs, there will be no unburnt fuels and the emission will be cleaner. The controlled fuel delivery handled by the computerized fuel injection ensures that the precise amount of fuel is delivered into the combustion chambers. With an addition of catalytic converters, the exhaust fumes will be cleaners and this will help a great deal in protecting the environment. Due to their extended use, quality of fuel and other elements such as temperature, fuel injectors are bound to get dirty and the substances making them dirty might clog the passages and compromise their performance. Some of the substances that might clog the fuel injection system include carbon deposits and substances resulting from stale fuel. For this reason, it is important that you understand the signs of clogged fuel injectors so as to clean them to restore your engine’s performance. Some of the symptoms of a blocked or clogged fuel injection system include a hard start, hesitation of the throttle tip, pre-ignition which is heard as a ping sound decreased fuel efficiency and gas mileage, rough idle and poor overall performance of the engine. Knowing these symptoms will give you a clue when you need to use the best fuel injector cleaners to unclog the system and give your engine its performance and efficiency back. When the engine is running, you cannot see the business end of the injectors. It can take quite some time to access the fuel injectors; you can follow a practice of cleaning the injection system based on time or mileage. It is recommended that you clean your fuel injectors 1-3 times every 36 months. If you are using mileage, then you can clean the injectors once or twice after 45,000 miles. The difference vehicle owners experience after using fuel injector cleaners is amazing and this should be considered a regular tune up for the fuel injection system. While most engine parts can be replaced without any notable changes, you will feel when a clogged fuel injector as been cleaned because your vehicle will perform better and have more power. While vehicles manufactured from 2004 will need less cleaning, because they use newer designs that also accommodate fuel additives which help in keeping the injection system clean, they will still need some cleaning because of low quality fuel and extended use. It is however important that you insist on high quality fuel that will not compromise the operation of the fuel injection system and other involved parts because they will generally affect the performance of the engine. The benefits of a clean fuel injection system are simple and straight forward. When you use the best fuel injector cleaners, your vehicle will perform better, have more power and improved fuel efficiency. Most people who have used fuel injector cleaning kits and fuel injector cleaning solutions have reported a great improvement in gas mileage and reduction in emissions. A clean fuel injector pump results in an optimally operating engine and reduced maintenance cost. Efficient Combustion – When the correct amount of fuel is injected into the cylinder, the combustion will be highly efficient. This will only happen if the spray is correct. Dirty fuel injectors will result in compromised fuel flow and disrupted fuel sprays. Since the opening of the fuel injector is tiny, the smallest particle or deposit can greatly affect the spray pattern and fuel delivery. The result of an affected spray is lean misfire, loss of power and troubled starts. To ensure that the combustion process is efficient, the fuel injectors need to be cleaned using the most effective fuel injector cleaners. Engine Performance – An improperly functioning fuel injector will lead to a number of issues that will generally affect the performance of the engine. Because of the associated irregular supply of fuel the engine will fluctuate between high and low rpms and this will compromise the power delivery. When the fuel injectors are properly cleaned and maintained, the engine will be reliable and smooth. Improved Mileage – If the fuel injectors get clogged, the computerized fuel system will try to compensate the low fuel supply and this might lead to excess injection of fuel. This is what causes high fuel consumption but the engine power will still be low. For better mileage clean your fuel injectors regularly. Emissions – The cone mist produced by a perfectly working fuel injector ensures that the fuel vapor is combusted properly. Clogged fuel injectors will deliver the fuel in streams that might result in poor combustion and this will increase the poisonous emissions. Clean your fuel injectors to ensure that the delivery is in vapor mists that will be combusted efficiently. There are a number of fuel injector cleaners in the market and the brand you choose will determine how good the results will be. The brands that are mentioned here are some of the top in the market and you should consider purchasing any of them deepening on your vehicle and needs. Different products will come with different features and you need to ensure that the product you purchase not only meets your needs but is also made of great quality materials that will last long. Choose a product that comes with all the necessary fitting s and accessories that are universal. Pay attention to all details including what is included in the kit and what you will need to purchase separately. Price does matter and you should select a product that meets your needs and does not damage your wallet. A clean fuel injector is the best way to improve your vehicle’s performance, improve gas mileage and reduce emissions. You will not have to pay the maintenance cost associated with clogged fuel injectors. The only way to achieve this is through the use of the best fuel injector cleaners in the market to keep our fuel injectors clean.